How do I choose the right Fitplan? The new onboarding feature will help choose the right plan for you! When you sign up for Fitplan you have the option to go through an onboarding process to help find the best Fitplan for you! After those 4 simple steps you'll be recommended the best Fitplan for you, and you'll be ready to start your fitness journey! If you already have an athlete or plan in mind you can skip this process. 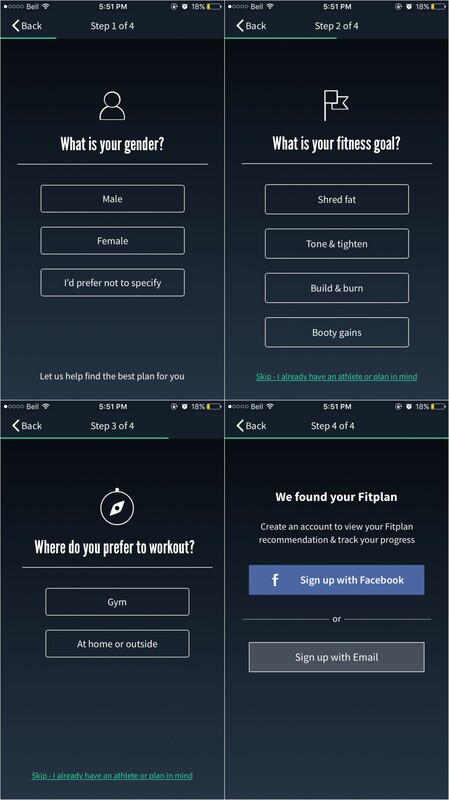 If you have any questions about your recommended Fitplan or would like another suggestion, please contact the Fitplan Team through the app, via the chat icon in the bottom right of this article or through our email support@fitplanapp.com.